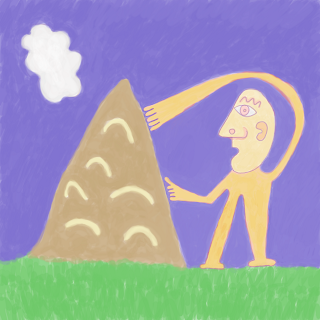 Is that rocket emerging from the earth a symbol for something else you are omitting from your drawings? It is just a mountain. If only we could see it as that.